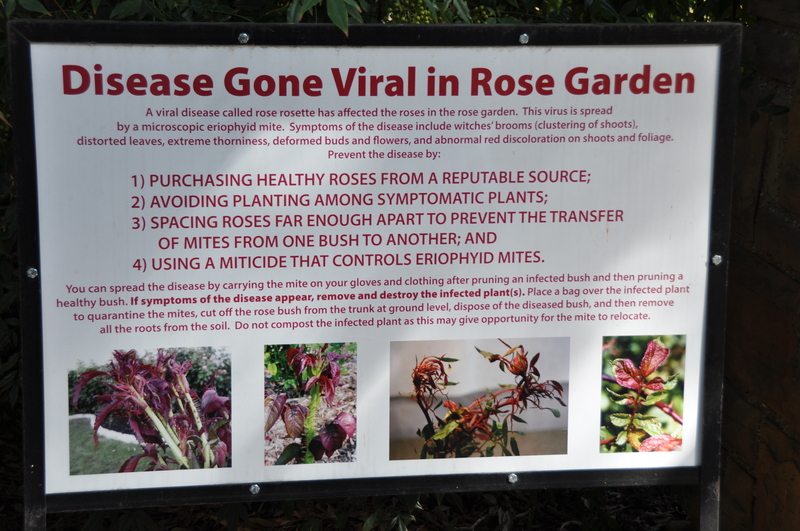 On a recent visit to the Fort Worth Botanical Gardens we were disappointed to see a sign “Disease Gone Viral in this Rose Garden”. 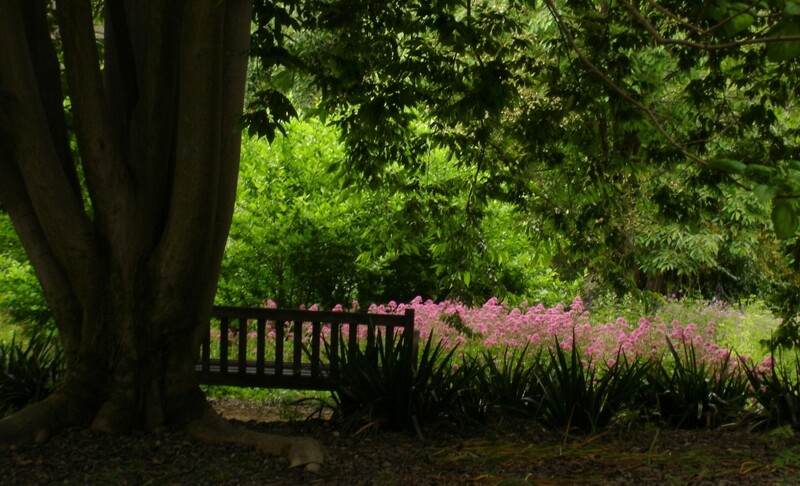 What followed was a garden with some empty flower beds. Some areas were planted with other flowers. 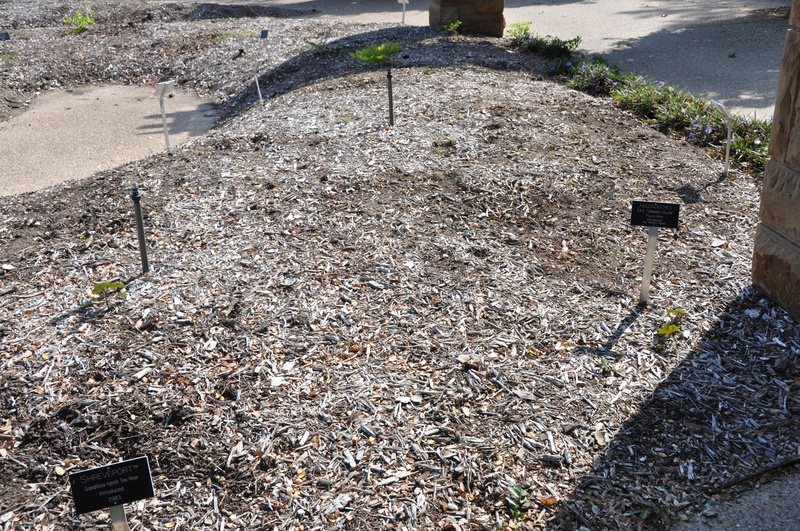 But there were precious few rose bushes left in this garden. A very sad sight indeed. When I saw this sign, the first thing I thought of was sin. This blight that struck healthy rose bushes is like sin in my life. I can never be too vigilant about allowing sin into my life. I need to guard my heart and mind in Christ Jesus. What sin am I allowing into my life? What do I watch, read, see, eat, drink, smoke, say, or goodness only knows what else that will lead me down a deadly path of sin? If I fail to be on guard, sin can easily slip in unnoticed and quickly spread into other areas of my life. My uncontrolled sin can affect others. It can cause devastating and deadly results that sometimes reach into eternity. When sin creeps in, I need to take radical steps to stop it in its tracks. I must keep sin from spreading and taking over other areas of my life. Not let my heart become hardened or my conscience deadened. I need to put an end to sin. Not give Christ and fellow Christians a black-eye. Or give an unbeliever another reason to reject Christ Jesus as Lord. Lord, help me to remember that this battle is more dangerous than I know and involves unseen powerful forces. But Lord, You can help me to wage war. May I put on the full armor of God each day. May I take my every thought captive to the obedience of Christ. When Your Holy Spirit prods my conscience, may I respond quickly in obedience and out of love for Christ Jesus and my heavenly Father. If I need to take radical steps to eliminate sin from my life, let me do it quickly. Don’t let me get away from sin. Let me be caught quickly and every time Lord. Keep me close to You. Let the light of Your Word expose darkness and sin in me. Give me discernment about the sin in the world around me. Help me to walk that narrow path that leads to life everlasting. Help me to remember that You are praying for me when I am tempted. It’s Your desire that I will not fail. Thank You for walking with me through every trial and temptation Lord. In Jesus mighty, powerful, precious and delivering name I pray. Amen! Very good points Susan and I love how you used the rose garden as a reminder. When we allow a little sin to fester in our life it only grows into a thing of mass destruction. So thankful we can go to the Lord in repentance and that we have the choice not to allow the sin to wipe out our entire garden! Thanks Dee! You are so right about when we let sin fester it will destroy our lives. What’s amazing is how blind we can be, or should I say willfully ignore it. Praise God that a repentant broken heart God will not despise.